California Reflections homes are located in the coastal community of Aliso Viejo. The California Reflections neighborhood was first built 1989 and features three to four bedroom single family homes that range in size from 1,301 to 1,863 square feet of living space. The tract backs to a very large park area called Woodfield Park that features miles of open space with soccer and baseball fields. The homes can feature vaulted ceilings, two car attached garage and small patio backyards. The location is just east of the 73 freeway and close proximity to the Aliso Town shopping center. 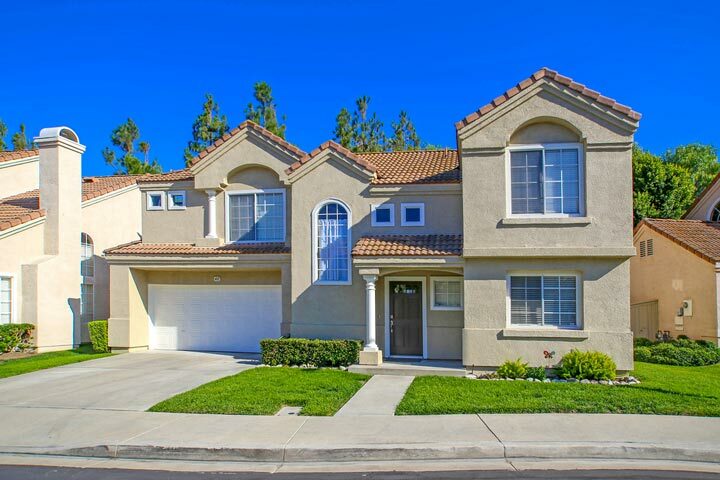 Below are the current California Reflections homes for sale and for lease in Aliso Viejo. Please contact us at 888-990-7111 with questions regarding this community and any of the properties listed for sale here.